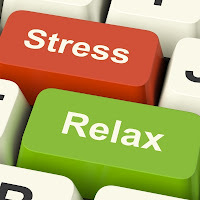 There are many ways to reduce stress in your life. Here is one of my favorites. A Benefit of Getting Organized: Your stress level will decrease dramatically. When you can find what you need, are on top of your to-dos, and arrive on time, you’ll feel calmer and have more peace of mind. No more feeling overwhelmed by life — you’ll be the one in control. Are you like Cartoon Personality Maxine?